Somalia was in the news last week. Yet another time it was negative news. A suicide bombing at the United Nations Development Program (UNDP) building in the Somali capital Mogadishu killed 18 people on 19 June 2013. Of course, the radical Islamist group called al-Shabab (Arabic for “the boys”) carried out the blast as they announced responsibility on their Twitter account. Despite this setback, Somalia has, on relative terms, a surprisingly positive development over the past months. Although attacks continue to happen, the amount of such incidents is decreasing and the overall development of the country is a positive one. Somalia is taking “baby steps” forward and there is a tendency towards more stability. Thus, Somalia deserves to be also positively mentioned in the international media! This should not suggest that the plethora of challenges that the country and its people are facing would be solved all of a sudden. Also in 2013 there were several suicide attacks next to several other incidents and assassinations. Despite such continued insecurity, it seems to be a rather desperate attempt by al-Shabab to catch the international attention and get their name out there again after experiencing so many setbacks during the past two years or so. The general trend is towards reconstruction and peace in Somalia. In fact, the country is in the best position ever since the fall of Siad Barre’s regime in 1991. 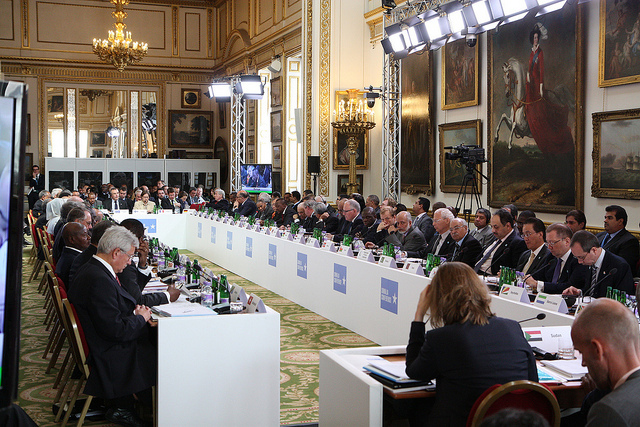 It is the security situation of the country that remains on top of the international agenda as it could be seen at the Somalia conference in London in early May 2013. This conference aimed to provide additional resources to the new government that is in place since autumn 2012. In addition, the United Nations (UN) Security Council passed a resolution to support Somalia by sending in up to 200 experts to advise the government and local authorities. The aim was to further stabilize the security situation in the country. In September 2013, the next donor conference will take place in Brussels where Somalia hopes to further strengthen a “New Deal”. A new constitution was finally passed in autumn 2012 – the first time in more than 20 years. After his victory over the president of the Transitional Federal Government, Sheikh Sharif Ahmed, who was widely regarded as corrupt, Hassan Sheikh Mohamud tackled many important issues since September 2012. His priority list includes building institutions based on the rule of law, establishing a powerful army and police, fighting corruption and increasing public security. In a recent speech, Somalia’s president identified 1) security, 2) justice and good governance and 3) investment, trade and jobs as the main challenges that the country is facing. All three issues are very much interlinked with each other. So far, the power of the president is still limited to the capital city and its surrounding areas. The central government in Mogadishu still needs to extend its authority to the rest of the country, particularly to Kismayu in the South, a former stronghold of al-Shabab. A whole different issue will be the possibility of a re-integration of Puntland and Somaliland under the authority of Mogadishu. The president hopes to address these defected regions through a federal framework. Whether or not this will be appealing to them remains to be seen in the future. Particularly Somaliland does not seem to have any intention to return under any kind of authority from Mogadishu after running its affairs on its own since almost two decades, including parliament elections and its own currency. Particularly successful has been the fight against piracy. According to the International Maritime Bureau, there was an 80% decrease on seafarers by pirates in East Africa in 2012. During this year, there were only seven attack reported with one successful hijacking of a vessel. These numbers mean promise yet another drastic decrease of the pirates’ activities in the Gulf of Aden. At the moment, 68 seafarers are still kept by pirates – a year ago it was still over 500 people. Such a positive development in the fight against piracy comes to a surprise to me, considering how many experts were quite negative that the fight against Somali pirates would be successful any time soon just one or two years ago. However, thanks to the concerted international efforts and a more engaged policy from the Somali government achieved much success against piracy. In general terms, Somalia is taking off. In March 2013, almost 500 flights arrived at the main airport of Mogadishu. And the good thing is that in the meantime many more people are arriving instead of leaving, suggesting that people from the diaspora start returning to the country. The numbers are still tiny with some 33,000 people coming in by plane in March. And yet, it is more than double the amount of people arriving in comparison to half a year earlier. The new government is regarded positively by Somalis in the diaspora and quite some of them are now starting to return home. Some have given up their jobs and a secure existence in order to come back and help to reconstruct their home country. 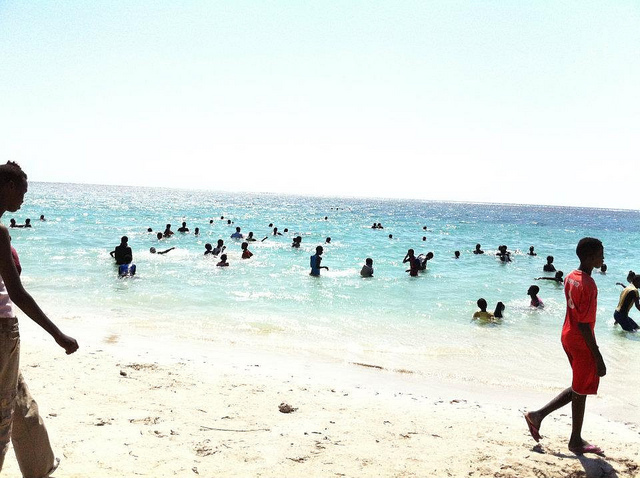 The beautiful beaches of Mogadishu are again open for bathing and potentially can attract tourists from all around the world. For sure, the prospect of tourism for Somalia is still far off due to negative perceptions of the country. It is still widely perceived to be an example per se for a failed state where nothing is working at all. The threat of piracy in the Western parts of the Indian Ocean, attacks of al-Shabaab in East Africa and the constant political crises in government led to the common view on Somalia that this country is simply doomed. However, there is time that such a negative perception is changing with a much more nuanced view on this country. There is time to give Somalia a new and fair chance. There is sympathy for the new president who has no political background but is rather trained as an engineer and was later on a university dean. This is quite unusual for the Somali political class and it seems to work. Mohamud is also backed by the UN and the wider international community as well in the region. However, clan politics is still dominating the country. The president, as a member of the influential Hawiye ethnic group, knows how clan leaders can be an indispensable instrument of power in a country dominated by ethnic loyalties. Mohamud’s prime minister Abdi Farah Shirdon Saaid is a close ally of him that should help to avoid the paralysis the country has been in much of the time of the Transitional Federal Government between 2009-2012. A real change in Somalia will require patience, persistence and time. The international community is asked to continue its support and dry out the support of extremists and organized crime. This can only be achieved when young people will have the opportunity to get jobs and see a chance to make a living. After more than 20 years of chaos, Somalis long for peace, stability and economic prosperity. One of the most challenging things will be a positive press. As most of the African continent, only bad headlines seem to come to the Western media. It is about time that also positive reporting on Somalia is included by the quality media in the West. Next Welcome to the Eurozone, Latvia!